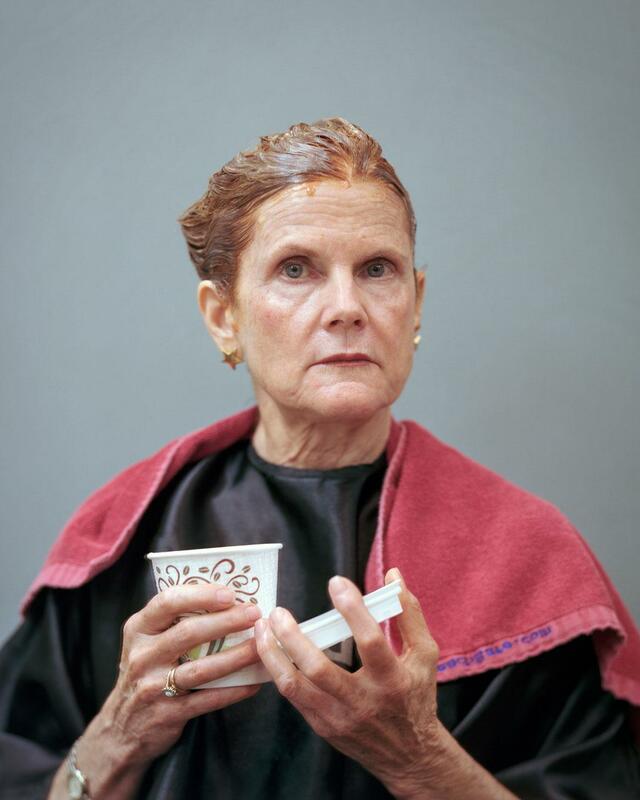 Pam Connolly’s Salon Studies: Work that questions the pressure to keep from looking old (PHOTOS). 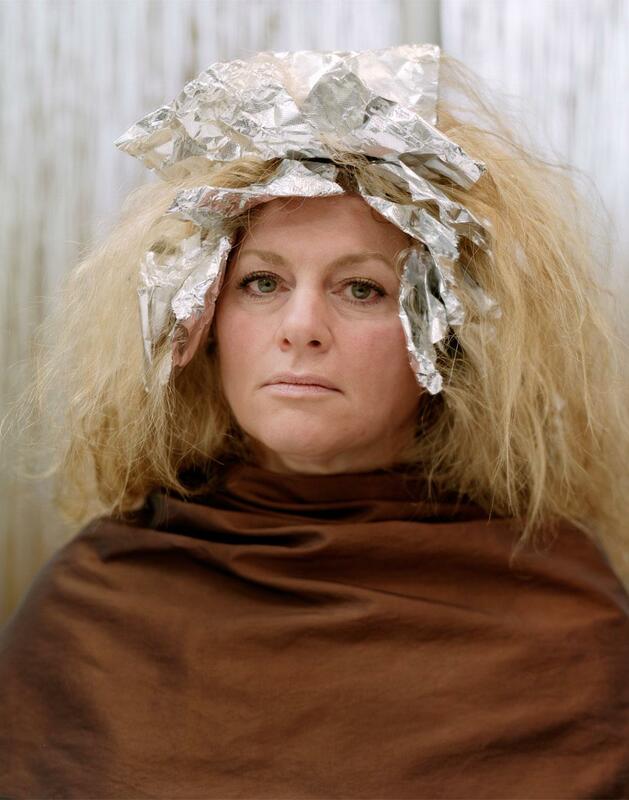 To hear Pam Connolly talk about getting her hair colored, it’s no wonder she has decided to slowly go gray. All of that sounds bad enough—but while you’re waiting for the color to take hold, you can’t help but look at yourself, reflected in the large mirror placed in front of you. 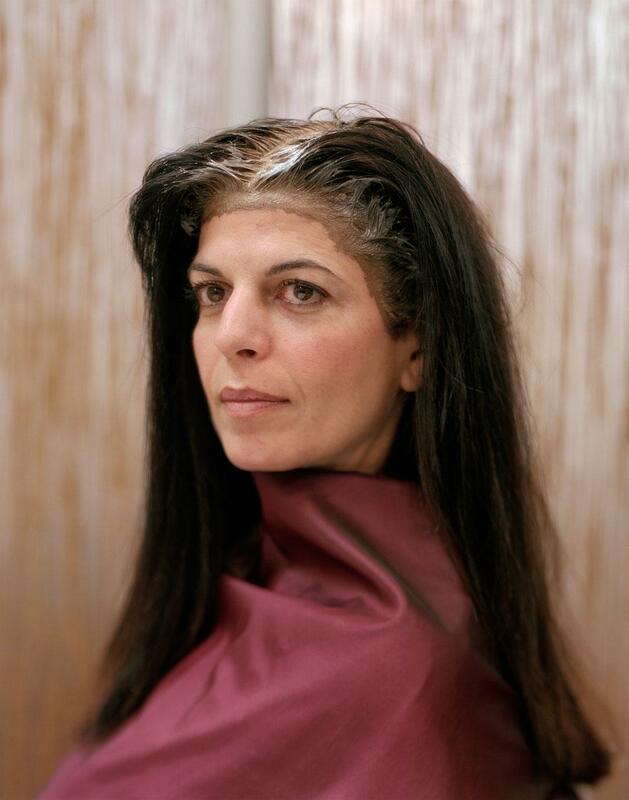 It’s a question Connolly started to try to answer through her photography as she began working on the series “Salon Studies” in 2013 while pursuing an MFA in photography at Hartford Art School. 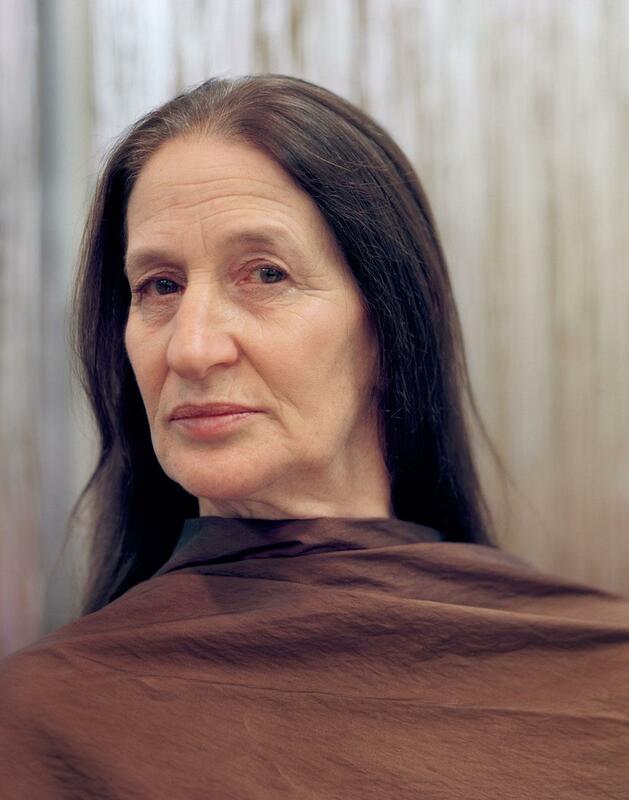 * With the help of her stylist who asked her own clients if they would be willing to be photographed in the chair, Connolly began shooting women through the mirror while they’re in the salon chairs during their moments of self-reflection. Apart from the moment of introspection she had while sitting in the chair, Connolly was also inspired by Greek and Roman sculpture she feels the women represent while they are in the salon. 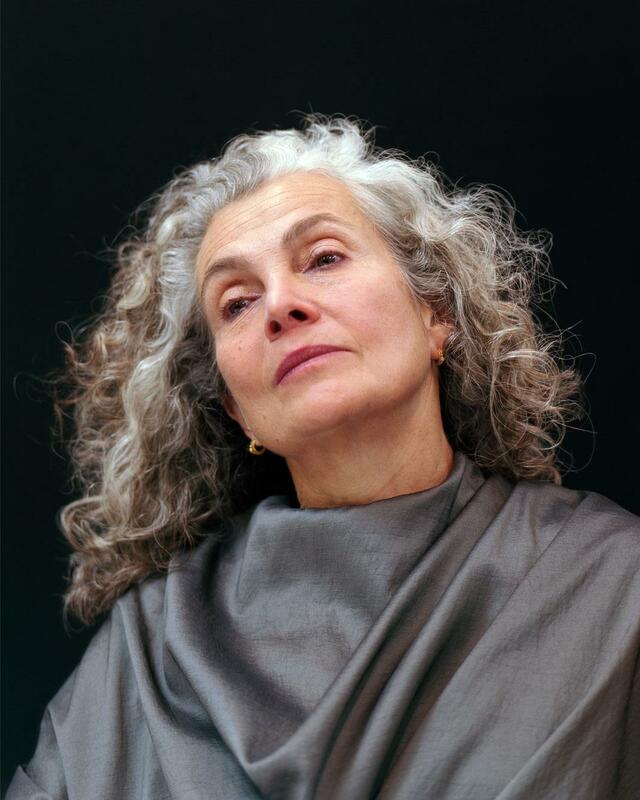 So far Connolly has photographed 20 women in the chairs, including women who made the choice not to cover the gray and said working on the project was fascinating because a lot of women told her their stories while they were sitting in the salon. “There were a lot of stories, like I feel my kids don’t like it if I look older, or my husband doesn’t like it, so it became very interesting, so many stories and so much baggage around this decision,” she said. Connolly said she would like to include more women of different races and socio-economic backgrounds. 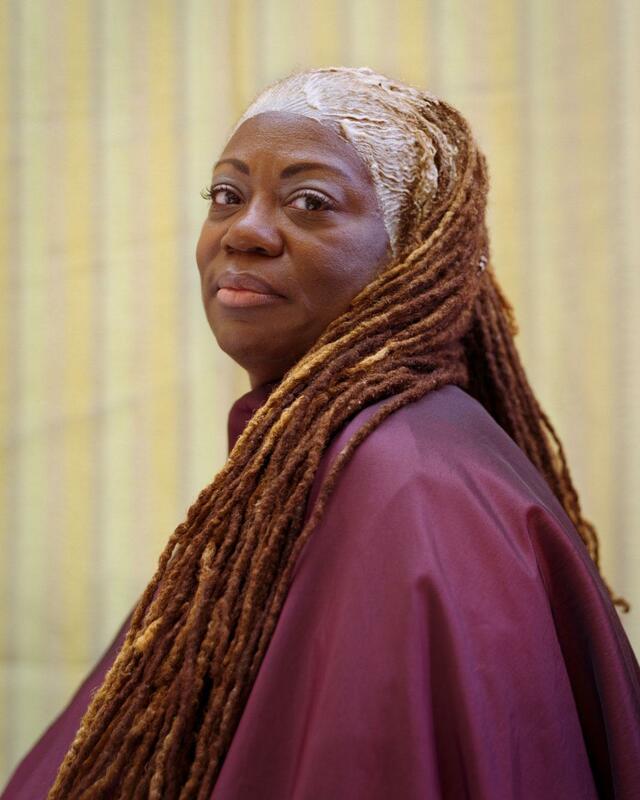 She took one portrait of a woman smoking outside of the salon, Fanda Smoking, and would like to take more outside of the salon and even in the homes of women who color their own hair. She would also like to find a writer or anthropologist to work on a book with her about the phenomenon that discusses the reasons behind the need not to look one’s age. Connolly said she feels as if she’s part of this experiment as well and is taking baby steps toward allowing her natural color to show. 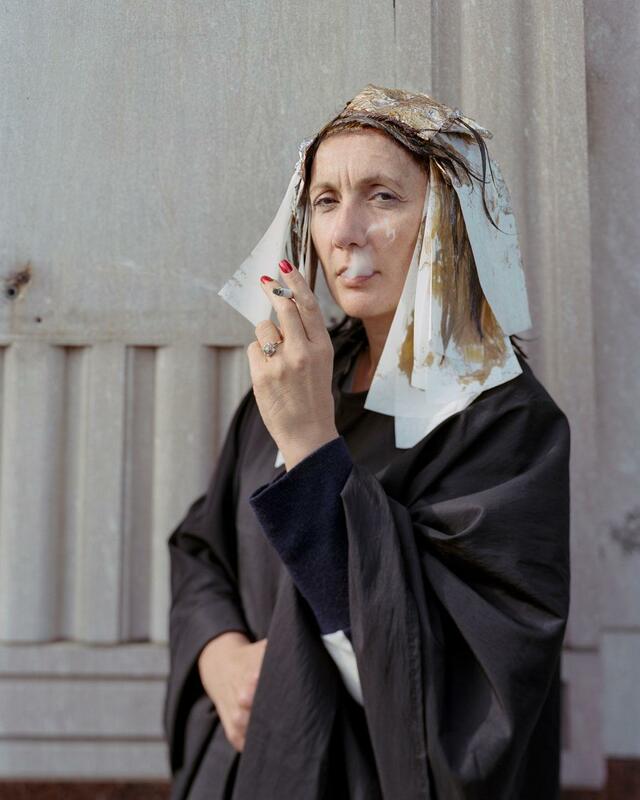 Connolly’s Fanda Smoking from “Salon Studies” was recently chosen to be included in the Taylor Wessing Photographic Portrait Award 2015 exhibition. *Correction, Sept. 18, 2015: This post originally misspelled Hartford Art School.